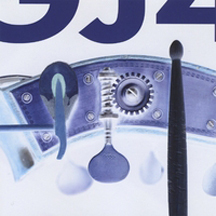 Gordon Johnson's GJ4 is a continuation of his successful modern jazz trio format, and when something works you stay with it, especially when you have the opportunity to work with incredible musicians. Gordon Johnson GJ4 was released on the Tonalities, Inc. label and marks the fourth in a series of trio releases produced by Gordon Johnson, and features Gordon Johnson on upright bass with guest pianists and drummers. The trio format of piano, drums, and bass is very popular in modern jazz and allows for the elements of timing, melody, and rhythm to create an intimate and approachable sound. Gordon Johnson dedicated this release to the memory of his father Clifford Johnson, a bassist for the Minnesota Orchestra. As Gordon noted, "Clifford passed his passion for music on to me, and you can hear it on GJ4." Another inspiration for GJ4 is the legendary free jazz saxophonist Dewey Redman who many of the musicians on GJ4 performed with and were inspired by, and Gordon covers the Dewey Redman song Joie de Vivre. Music should be a feeling not a series of notes, and on GJ4 you can feel the passion throughout the release. Gordon does an outstanding job of arranging the individual musicians to the different songs on the release. Like a good wine pairing at dinner, this is not a random mix and match of musicians, but this is a collaboration of style and form to create the intimate and approachable sound fashioned by a piano, drum, and bass trio. The release leads off with the poignant track Blues for C. J., a tribute track written by Gordon for his father, Clifford Johnson. The track features Tanner Taylor on piano and Steve Smith on drums, but the introduction is by Gordon who uses the bass as his soliloquy to his father. Imagem features the piano playing of Frank Kimbrough who Gordon met while they were backing Dewey Redman during a tour, and Gordon and drummer Phil Hey hold down the baseline which allows the brilliant fingers of Frank to cast their magic. The cover of Joie de Vivre features two musicians, Gordon and Matt Wilson on drums, who each had the opportunity to play with Dewey Redman though at different times, but their respect for the man and his music brought them together on this track. The release GJ4 has many surprises and twists that only a suitable music pairing can bring together. The track The Return is a tight arrangement with the trio contributing equally to a song that Gordon said, "I just had to record." The high energy track Bouncing With Bud brings back the trio of Gordon, Tanner Taylor on piano, and Steve Smith on drums, as does the track Evanesque, written by Tanner Taylor. GJ4 is a testament to what heart, soul, and passion mean to music and musicians. Websites where you can procure Gordon Johnston - GJ4 are CD Baby, iTunes, CD Connection, Pay Play, CD Universe, and Amazon. © September 2008. Luxury Experience. www.LuxuryExperience.com. All rights reserved.